Warlpiri Country, Tanami Desert, in Australia’s Northern Territory. Rusty Stewart. flickr cc. At first glance, the most recent review of government expenditure on Aboriginal and Torres Strait Island Australians is quite staggering. It estimates that direct expenditure was A$33.4 billion, an increase of around 23.7% since the first report in 2008-09 (taking into account inflation). This equates to A$44,886 per Aboriginal and Torres Strait Islander Australian, almost exactly twice the amount of direct government expenditure (per person) on the rest of the Australian population. Taken in isolation, these figures appear to prove that we as a society are spending a lot on Indigenous peoples. But, when you look at outcomes, it is not clear what Indigenous peoples are getting in return. When you dig beneath these headline figures, the story is much more complex though. Most of the expenditure is on mainstream services (schooling, disability support etc) and due to observable differences between Indigenous and non-Indigenous Australians. We would also seem to be under-spending in areas that are likely to produce long-term returns. Recent Census data suggest that Indigenous employment outcomes have not improved over the last five years. And every year the Closing the Gap reports suggest that most targets for improvements in the health and education of Indigenous Australians are unlikely to be met. Improvements in life expectancy, school attendance, reading and numeracy are not on track. The target for early childhood education was not achieved; instead a new target was set. Provide governments with a better understanding of the level and patterns of expenditure on services which support Indigenous Australians, and provide policy makers with an additional tool to target policies to Close the Gap in Indigenous Disadvantage. The report looks at expenditure by federal, state and territory governments. Around 43.9% of expenditure is by the federal government and the remaining 56.1% comes from the state and territory governments. A large proportion of the overall expenditure is on the use of mainstream services by Indigenous Australians. The report estimates that around 82% of the expenditure was on mainstream services. Every 10-year-old in Australia should be attending a school. Whether children attend a public school or a private school, government spends a significant amount on them each year. Every (eligible) person who is unable to work because of a disability should receive a Disability Support Pension. And everyone benefits in equal measure from spending on the military, quarantine services, road maintenance, etc. Furthermore, some of the remaining 18% was spent on Indigenous-specific services substituting for mainstream services, but hopefully doing so in a more culturally and geographically appropriate way. 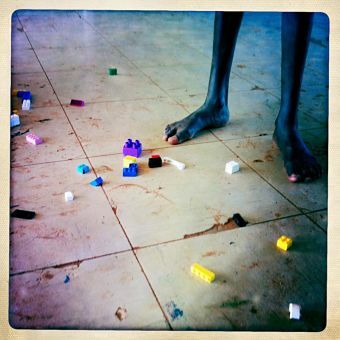 Much of the extra expenditure on Indigenous Australians is also due to greater needs. The Indigenous population is much younger than the non-Indigenous population. We know that governments spend more on young people than those of prime working age. This is due to government funding or subsidising early childhood health services, childcare, preschool, schools, universities and vocational education and training (VET). But these are investments, not costs. The Indigenous population is also relatively disadvantaged by objective, socioeconomic measures. This requires higher expenditure on income-tested payments, especially in a social security system like Australia’s. It also costs more to deliver services to the areas where many Indigenous Australians live. We have a well-founded assumption in Australian society that you should receive a broadly similar level of services regardless of where you live, at least in terms of “essential” services. The final thing to note is that although expenditure has increased substantially over the four reports produced by the SCRGSP, so too has the Indigenous population. The population used in the report is 744,668 Aboriginal and Torres Strait Islander Australians in 2016 (already an underestimate), compared to 642,795 in 2009. So, expenditure per Indigenous person has only gone up by 6.9% over the period. In this same time Australia’s gross domestic product per capita has gone up by 7.5% in real terms. We can’t assume from this report that Indigenous people of the same age, socioeconomic background and regional area enjoy the same standard of living or quality of services as non-Indigenous Australians in the same circumstances – let alone a higher level of services. Australia’s failure to meet Closing the Gap targets or to design policies that help improve the lives of Indigenous Australians means that governments need to pick up the slack. Nicholas Biddle, Associate Professor, ANU College of Arts and Social Sciences, Australian National University.